We had the colourways of the year a few days ago in part one of the first Instep ‘Boot-ies’ awards, now we look at what is probably our equivalent of the Oscar for Best Picture: the Boot of the Year awards. Myself and Andrew always comment on the high quality of football boots on the market these days, and I definitely found it very difficult to pin down what I rated as the boot of the year. If anything, it shows how much the companies are putting into their boots to perfect their boots as we come into a World Cup year, and that means the consumer wins, how awesome is that?! 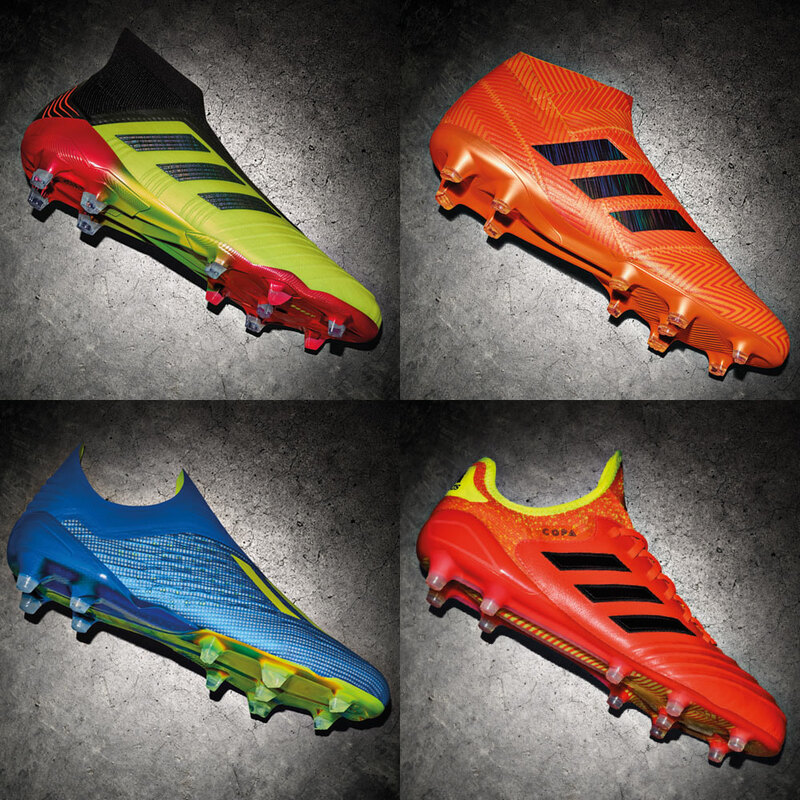 Let’s check out what I rate as the best boot on the market for 2013. Note: I am taking the view of identifying the best boot on the market, meaning a boot released in 2012 or past years are still eligible. In a rare move, 2013 not only saw adidas finish the year with updates to their 3 existing boot silos, but also the addition of the new Nitrocharge silo. It has been a big 12 months for adidas, and for me, the Nitrocharge 1.0 is the release that impressed me. When images of the Nitrocharge started popping up, there were parallels that could be drawn between the new Nitrocharge 1.0 and the Predators of yesteryear. 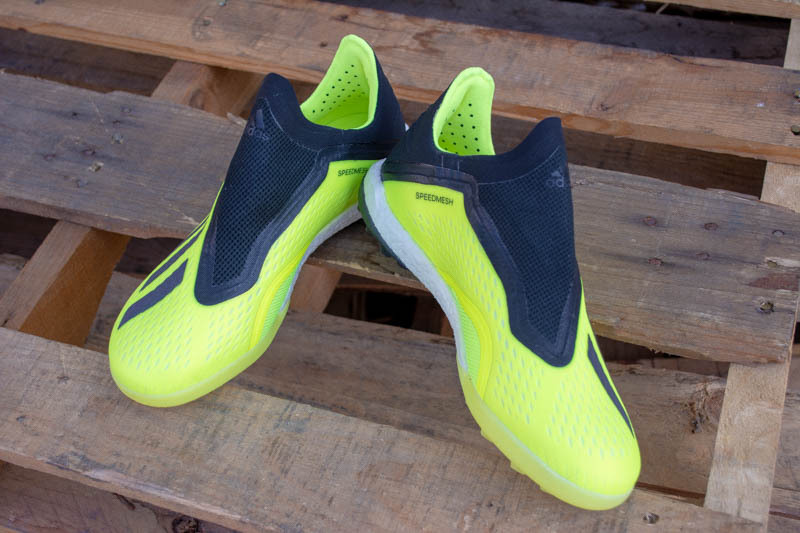 Whether it be the Energypulse system in the sole or the Energysling running across the front of the boot, it was a release that I was definitely looking forward to. 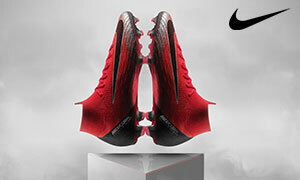 Nike started 2013 off with a bang in the form of the all new Nike Mercurial Vapor IX, and what a release it was from Nike. But when you look back, say, 2-3 years ago when Nike were spruiking the Superfly III, Nike truly have turned the Mercurial range around hey? The Superfly III is a bit like a Bugatti Veyron (trust me, I am going somewhere here). Sure, we know only the finest materials went into making the boot, but paying over $400 for a pair of boots is hardly feasible from a consumer’s point of view. 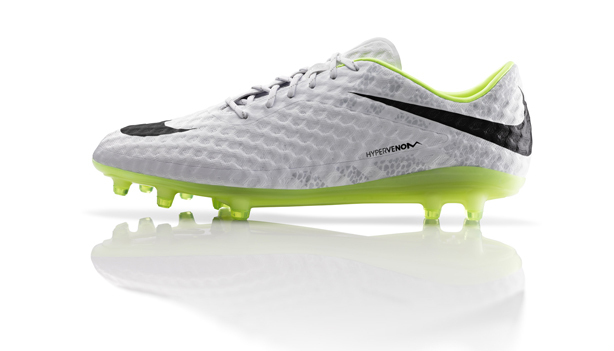 The Vapor IX is stripped back in comparison to the Superfly, but it is certainly a quality boot. 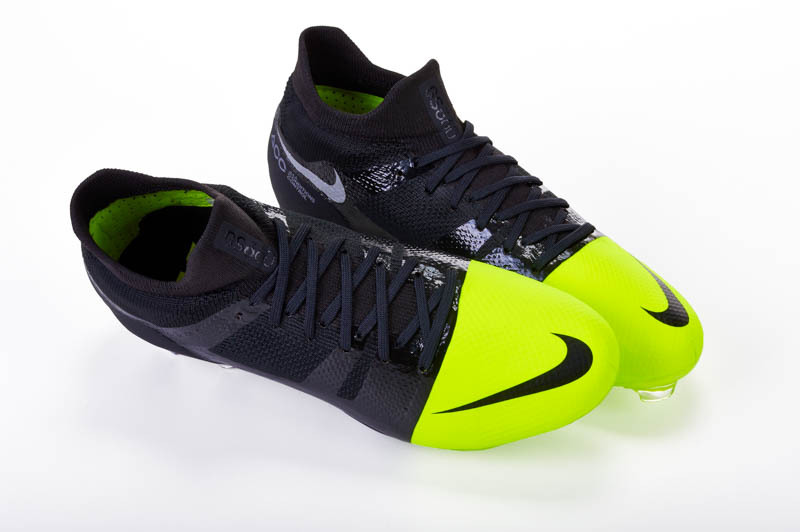 What I like about the Vapor IX is the way Nike know they are making a speed boot, but they have not necessarily stripped the boot down to nothing in an effort to create a lightweight boot. Speed boots have always been lightweight, there is no arguing about that, but I prefer my Vapor over the adiZero because I feel there is more quality with the Vapor, even if it is a little heavier. I prefer the slightly more cushioned feel for the ball, the sturdier upper, the better fit, I think it is worth it even if you have a heavier boot. Granted, I still have not got my hands on the new F50 yet (I am just waiting for the right colour), but based on the Vapor IX against the adiZero we have seen on the pitch up until early November, the Vapor wins it, plus it is a quality boot in general. That leaves us with the best boot of the year, and for me that is the Nike CTR360 Maestri III, and a lot of that is owing to Kanga-Lite. In the race to make the best synthetic upper, the arrival of Kanga-Lite way back in 2009 on the CTR360 Maestri I changed the boot world. An upper that has a leather-like feel and performance about it, whilst still having that close feel for the ball that synthetics offer? What’s not to like? But Nike somehow made it better with the next generation Kanga-Lite 2.0 on the Maestri III. And boy oh boy is it awesome, and I would go as far as saying it is the best material (including leathers) on the market today. Generally, the way the CTR has been put together is genius. It is all about that cushioned feel for the ball, the terrific way it fits to your foot, the comfort, and as gimicky as this sounds, you do feel like you are in ‘control’ when you wear the CTR. What I also love about the release of the CTR360 III is the fact that Nike have been a little more daring when it comes to the colourways we see being released. The colourways on the first and second generations started to become predictable and quite frankly, boring. Now Nike are playing with different colour tones, whilst also straying away from the two-block design that has become synonymous with the CTR. 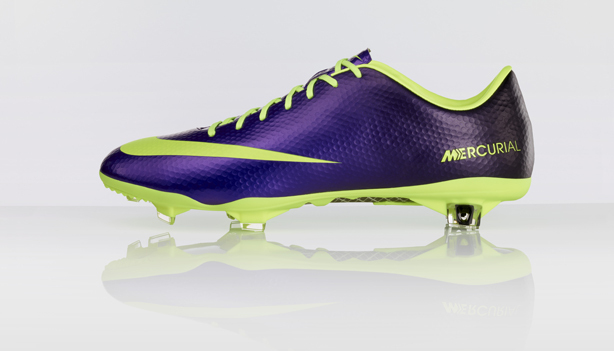 Throw in the fact that it is the most popular boot in the EPL, and we have ourselves a winner. One of my favourite boots to this day is still the Mizuno Morelia Neo, which I see as the perfect combination of quality materials, supreme touch and a lightweight design all in one boot. With Mizuno now making a grand entrance into the US market, I am confident that we will be seeing Mizuno boots becoming very popular in the US, with the Morelia Neo leading the charge for the Japanese brand. I think Warrior Sports deserves a shout-out for their 2013. The Warrior Sports Skreamer S-Lite, despite not being the most popular boot on the market, is a quality first-time release from Warrior that dominates the kicking stakes. If you love putting your laces through the back of the ball and just powering it towards goal, the Skreamer S-Lite is for you, and hopefully Warrior will continue to grow into 2013. So there we have it, the CTR wins my ‘Boot-ies’ award for best boot on the market. Now let us see what has impressed Andrew this year. As we enter into 2014 and brace ourselves for the equipment onslaught that always lands alongside a World Cup year, it is now time for those of us here at the Instep to take one last longing look back at 2013 before we move on for good. Coupled with some huge releases, player brand switches, big transfers, crazy colorways, and countless other events in the boot world, this edition of the “Boot-ies” will be my personal view on the best boot in the equipment world this year. So, which boot deserved being a member of the first edition of the “Boot-ies?” Let’s take a look! Coming in third is a boot that received little advertising support and almost zero professional player uptake, but a boot that will definitely stand the test of time. Released in June and created to end the longstanding reign of the Copa, the Nike Premier has surprised any and all that have come in contact with the boot. The Premier is a fantastic boot and is currently being put through the wringer in our in-depth Copa vs Premier comparison. However, the Premier stands on its own as a fantastic release from Nike. Made with a kangaroo leather upper, a modern last, and a soleplate that should function alongside any recently released model on the market, the Premier blends all the classic elements of a heritage boots while still adding in elements that Nike have learned from their time in the boot world. Without spoiling the last round of our Copa/Premier comparison, the Premier is the best value currently on the market and should scare the pants off of Adidas as any Copa admirer may have a new option. 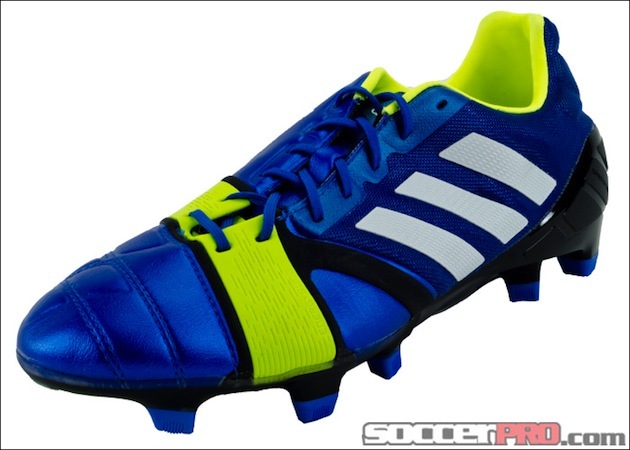 In second place sits a boot that has done for adidas what the CTR did for Nike: the adidas NitroCharge 1.0. A boot that seems to be the rightful heir to the Predator range and a boot that created a brand new silo for adidas shows that the German-based brand may not be too far behind Nike in the development of synthetics and feels like a light return to the “power” boots of old. The Nitro provided a hybridtouch upper with the removal of the zones found on the LZ and gave a thickness that made it feel like a leather boot. The padding and deep lacing system provide great comfort and fit while still making it feel like you can blast through any ball that comes your way. While the energy sling and energy pulse feel almost as gimmicky as the old “powerspine” we saw on the last few Predator boots, the build of this boot is undeniably similar to the power boots that Nike and Adidas thought to have done away with after the death of the T90 and adiPower. Although there are rumors of a redesign on the horizon, the Nitro quickly became a favorite boot here at the Instep and saw many professional players switching into the boot…landing it the second spot on our list. Our first place boot for 2013 goes to a boot that entered the world with a brand new synthetic upper, a new design, a new silo, and killed a beloved silo in the process. Despite hitting a wall of criticism and seeming like a boot that was just crowding the already flooded “speed boot” category, my first place boot for 2013 has to be Nike’s HyperVenom Phantom. The Phantom introduced us to NikeSkin and continued to assert Nike’s dominance in synthetics. The soleplate, although arranged with a classic conical look, is fantastically put together and as modern as any other set-up on the market. With an unparalleled touch and a break-in/fit worthy of any leather heritage boot, the Venom is only being criticized by people that are not giving it a fair chance. With an upper that has changed the Venom, the Elastico, and the Bomba, NikeSkin is revolutionary and the HyperVenom has allowed Nike to move past the T90 without there being as much fallout as there was initially expected. The only question I have is: where can the Venom go from here? Adidas F50: The best F50 to date, but it still falls short of being one of the best boots on the market. 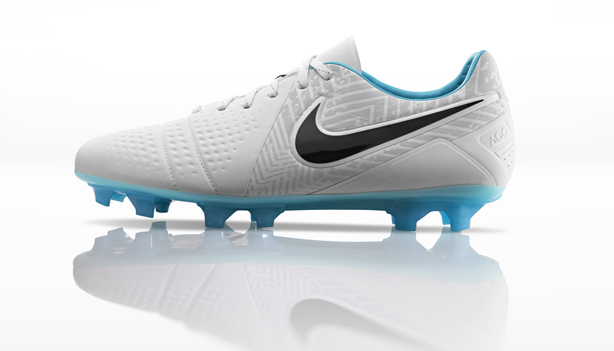 Nike CTR Maestri: My pick for the best boot of 2012, making it ineligible for a top spot this time around. 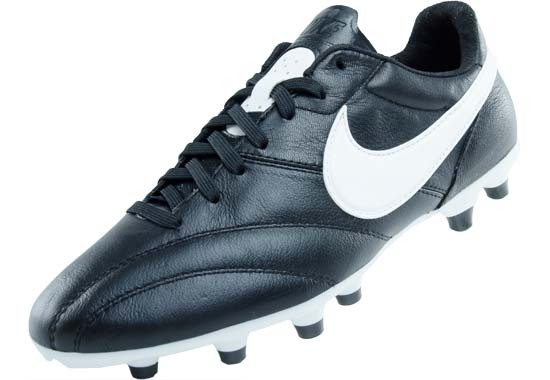 Nike Tiempo V: Although we already love it here at the Instep, we have not spent enough time in the Tiempo to feel right adding it to this list. If you missed the first part of the “Boot-ies” where we discussed our favorite colorways of 2013, make sure you go check that out. One thing is for sure, there were a TON of great releases in 2013 and 2014 promises to be even better. I love the equipment world!